The idea behind Driftmoods originated when Craig moved to Devon from Staffordshire. He began to be highly inspired by the sea and dramatic coastlines. His first creations from driftwood were primarily for friends and over the years he exhibited his work throughout Devon. Craig then moved into working with reclaimed Cornish slate, which was in keeping with his passion of re-cycling raw materials. Commencing with small local quality craft fairs, demand for his products began to grow and he realised the potential for the establishment of a successful business. It was at this stage that Craig was joined by his mum Lynn, thus creating the family business that is called Driftmoods today. Lynn’s passion for Craig’s work, together with her commercial experience in business and her creative flair complement his artistic talent and his exciting ideas. At the beginning of 2010 Driftmoods exhibited at its first trade fair – Giving and Living in Exeter, followed by a further trade fair for hand made products - Select in Bath. 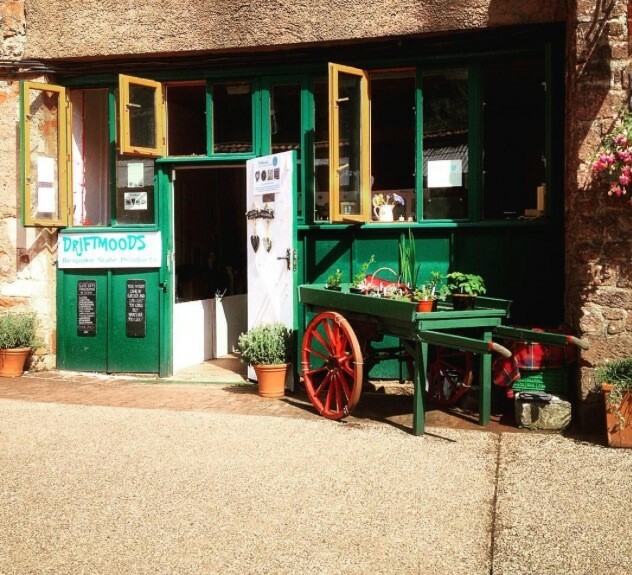 As a result of these successful ventures Driftmoods now sell their work through various art galleries, tourist attractions, hotels, florists throughout the UK. Driftmoods offer a quality range of gifts and tableware that are all handcrafted in the Westcountry (UK) and are designed with the finest reclaimed and new materials. All of Driftmoods products are guaranteed to be unique, since no two pieces of Cornish slate are identical and all differ in colour and texture; whereas the natural slate has an overall black appearance. Driftmoods prides itself on offering a personal, professional service and this is reflected in the quality of each individual hand made item.